The Bell Raco Villas are situated in the Torre Gran Urbanisation close to L'Estartit. A mix of 2, 3 and 4 bedroom detached vacation homes all with large private gardens and terraces. The villas have off road parking, kitchens and share a communal swimming pool. Located just 3km from the town centre and beach it is within walking distance of a supermarket. 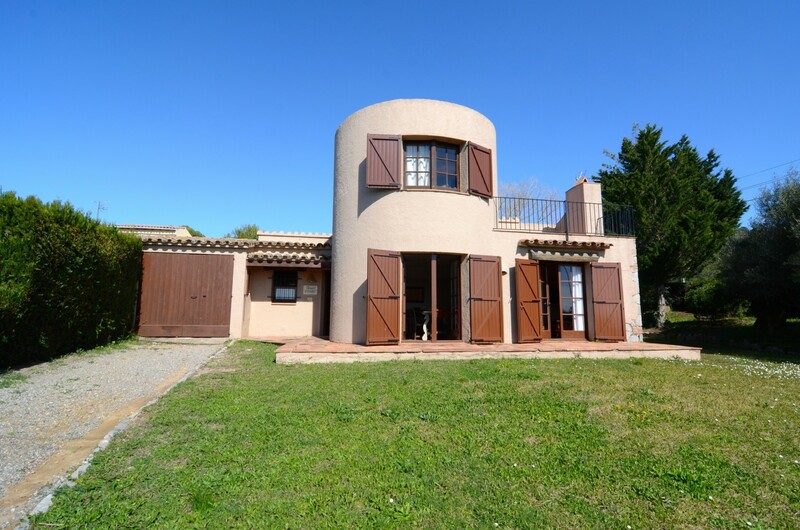 Bell Raco is a peaceful location a short drive from L'Estartit and is ideal for families. Each villa has 2 double bedrooms, 2 full bathrooms, fully equipped kitchen, lounge with patio doors leading out to a terrace and private garden. The villas share a nearby communal swimming pool with children's section and grass area for sunbathing. The Bell Raco Villas in Estartit are situated 3km from the resort centre and lovely Beach. Each villa has 3 double bedrooms, 2 full bathrooms, fully equipped kitchen, lounge with patio doors leading out to a terrace and private garden. The villas share a nearby communal swimming pool with children's section and grass area for sunbathing. 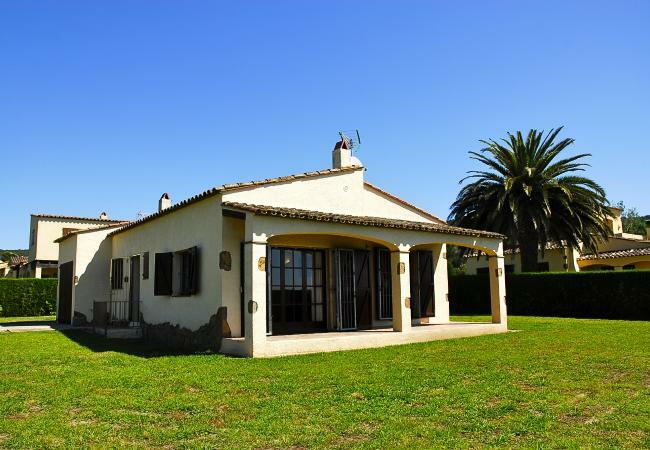 Bell Raco is a peaceful location a short drive from L'Estartit and is ideal for families. The villa has 3 double bedrooms, 2 full bathrooms, fully equipped kitchen, lounge with patio doors leading out to a terrace and private garden. The villa shares a nearby communal swimming pool with children's section and grass area for sunbathing. Bell Raco complex are a selection of detached holiday homes with large gardens in Torre Gran. The villa has 3 double bedrooms, 2 full bathrooms, fully equipped kitchen, lounge with patio doors leading out to a terrace and private garden. The villa shares a nearby communal swimming pool with children's section and grass area for sunbathing. The villa has 1 double and 2 twin bedrooms, 1 bathroom, 1 separate WC, kitchen, washing machine, lounge with TV and patio doors leading out to a terrace and garden. The villa has air-conditioning. The villa shares a nearby communal swimming pool with children's section and grass area for sunbathing. The villas are located in Torre Gran an Urbanisation on the outskirts of Estartit. Each villa has 4 double bedrooms, 2 full bathrooms, fully equipped kitchen, lounge with patio doors leading out to a terrace and private garden. The villas share a nearby communal swimming pool with children's section and grass area for sunbathing. The Bell Raco Urbanisation is located in Torre Gran, 3km from the resort centre of L'Estartit. The villa has 4 double bedrooms, 2 full bathrooms, fully equipped kitchen, lounge with patio doors leading out to a terrace and private garden. The villa shares a nearby communal swimming pool with children's section and grass area for sunbathing. The Bell Raco complex is 3 km from the resort centre of Estartit and the sandy beach. The villa has 4 double bedrooms, 2 full bathrooms, fully equipped kitchen, lounge with patio doors leading out to a terrace and private garden. The villa shares a nearby communal swimming pool with children's section and grass area for sunbathing. The villa is located in the Bell Raco Urbanisation at Torre Gran and has 4 twin bedrooms, 2 bathrooms, fitted kitchen, lounge with cable TV and patio doors leading out to a terrace and private garden. The villa has air-conditioning, a washing machine and off road parking. The villa shares a nearby communal swimming pool with children's section and grass area for sunbathing.